It can be more than just frustrating to have to deal with tooth loss – it can be maddening. So much in your life has to change. From the food you eat to the way you talk, it’s not comfortable to have to deal with teeth that aren’t fully supported, or are missing entirely. It all adds up to a big pain that you have to deal with around the clock. At Surprise Smiles, we understand the challenges of tooth loss and sympathize deeply. Our goal is to give our patients solutions to all of their dental issues, and one of our most popular solutions to total tooth loss is dentures. Dentures are a tooth replacement solution that is available to those who have lost all or most of their teeth. Made from a special plastic resin or acrylic, often mixed with a metal foundation, that is made to look like real teeth with a base that looks just like real gums, dentures require you to be fully edentulous (without teeth) to be placed. Dentures are held in place with an adhesive that can be purchased at any grocery store in the dental care section. Partial dentures offer patients who have lost a few teeth an option to replace them in form. 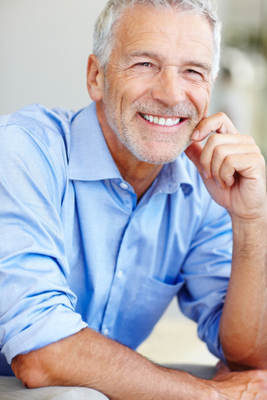 Because partial dentures rely on the surrounding teeth for support they are often quite comfortable and easy to wear. Partials are held in place by wires and clasps and often must be taken out to eat, and always to sleep. Partial dentures can fill gaps of teeth that have been lost to decay or trauma, and do a considerable service to the continued health of your mouth. One of the biggest differences that patients note once they receive their dentures is that they are more willing to start smiling again. Tooth loss can really affect your self-confidence and therefore your desire to smile tends to ebb away. Smiling is a big part of leading a happy life and when you don't feel like you can smile without the judgement of other, it can be rough. When tooth loss strikes, it can affect you in ways that you never considered. The first tooth that is lost in your mouth is significant in a few ways. The first tooth that is lost and not replaced is significant because it can have a domino effect on tooth loss in the mouth. Lots of people thing that teeth are planted in one spot and unable to move around, this isn't true - they are propped up by the teeth around them and can shift according to forces that act on them. When a tooth is lost and not replaced, the neighboring teeth can start to shift into the space that is left by the lost tooth. When they start to shift, their neighbors can also shift. Eventually your teeth can move enough that it negatively affects your bite (the way your top arch and bottom arch fit together). The big risk when you lose a tooth is bone loss which can lead to further tooth loss. When a tooth is lost and not replaced the bone in that area of the jaw will cease to be stimulated and will eventually start to recede. Because the bone is the most important structure holding your teeth in place, when it's levels drop the surrounding teeth will eventually be lost. This is why it's important to replace teeth with a dental implant, bridge, or denture as soon as you lose it, to mitigate the potential loss of more teeth. We will start you on your way to dentures by evaluating the condition of your mouth. If you still have a few teeth left, we will need to setup and appointment to have them extracted before we can continue. Once the remaining teeth are extracted we can take a mold of your mouth that we will send to our dental lab. They will use the mold that we make to craft a set of dentures that will fit perfectly into both arches of your mouth. Depending on the scenario, we can provide you with a temporary denture to fill in for the missing teeth while you wait for the permanent one to be crafted and sent back to us. This will conclude the first appointment. Once we receive the dentures from the laboratory it will be time for your second appointment. It will be obvious which arch is the top and which is the bottom. The top arch will be made to fully cover the whole roof of your mouth, whereas the bottom arch will have a U-shaped cutout in the middle to accommodate your tongue. Dentures require a few special care considerations. Firstly, they must be taken out at night and placed in either water of a denture soaking solution. The solutions have the added benefits of fighting bacteria that build up on them as well as fighting odors. You must also brush your dentures using a specially designed denture brush. We recommend that you always handle your dentures over a basin of water or a folder towel on the counter to avoid damage caused by accidental drops. Dentures are tough but a good fall at an awkward angle can easier chip or crack them, so it’s best to use care and plan ahead. To schedule your appointment or no obligation consultation with us, please call us at (602) 842-4864.